Aqua Garage Services in Eastney, Portsmouth provide automotive tyre services to Milton, Southsea, Eastney, Copner, Portsmouth and throughout Hampshire. 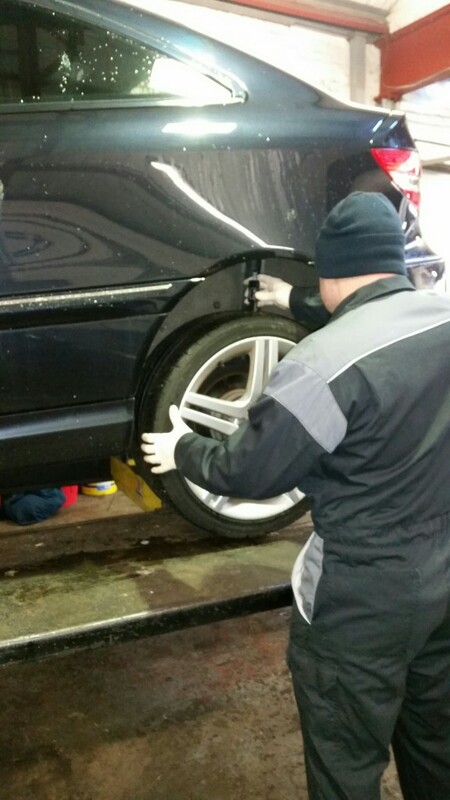 We’ll check your tyre tread depth for you and supply replacement tyres if necessary, and at the cheapest price we can. But it’s important not only to check tyre tread depth, but also tyre material integrity. Ask AGS to check and inflate your tyres for you. This is another example of tyre separation and de-lamination. 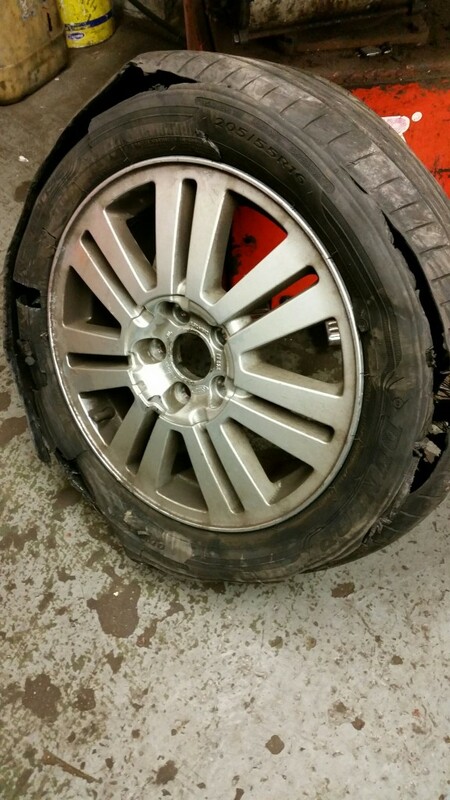 This caused a very dangerous blow out for the owner of the car who was a bit shaken to say the least! We look after competition cars too. 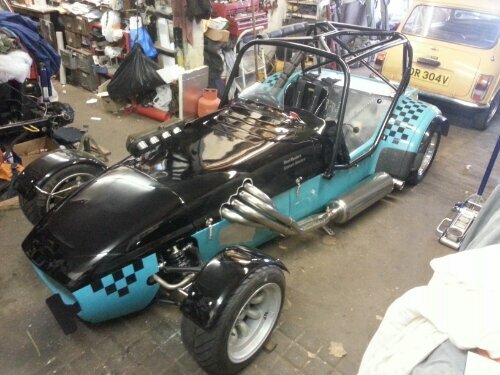 This customer’s track westfield has been fitted with very soft hillclimb wets, which are challenge to fit!